John played Captain Jack Harness in Torchwood, a British sci-fi series that ran from 2006 to 2011. John has revealed that he has a celebrity crush on retired British footballer Jamie Redknapp, so it’s not impossible that Scott may be wearing some shorts and stockings when they’re having fun. John was also asked if he would like to play Captain Jack again outside the bedroom. ‘If I was asked, I’d do it at the drop of a hat. I’d love to interact with the new Doctor. Captain Jack changed my life. I know what an iconic figure he is,’ John replied. 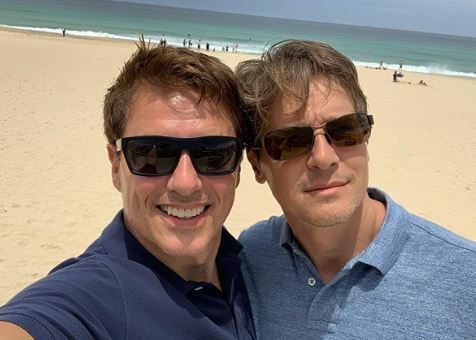 In November 2018, John brought Scott to Australia to celebrate their 26 years together. The “Arrow” and “Dr Who” star is very popular down under and combined appearances at the comic convention Supernova in Adelaide and Brisbane with a dream vacation with his husband. “I absolutely love coming to Australia and I have never been to Adelaide, and I’ve only ever flown out of Brisbane. So I’ve never really been to Brisbane either. John posted this on Instagram with an adorable picture of the couple celebrating their 26 years together. The British actor is well versed in Comic Con circles. In July 2017 he appeared at the San Diego Comic Con in a Tardis gown to defend BBC producers casting a female Doctor Who. “I am the transgender Tardis,” John screamed as he entered the stage. But the fans got over the age gap between those two actors and John believe they will get over the casting of a woman (Jodie Whittaker) too. There is nothing that says that Doctor Who is a he and always has to be a he. Doctor Who can just as well be a woman, John argues. “It could conceivably happen if we believe it as that world. John Scot Barrowman was born March 11, 1967 in Glasgow Scotland. His family immigrated to the United States in 1975. Barrowman is an actor, singer, author and comic book writer. In the UK he is best known for playing the role of Captain Jack Harkness on “Doctor Who” when the program was revived in 2005. His role sparked the spinoff show, “Torchwood” which ran for four series. On the stage, Barrowman was active in London’s West End through the 1990’s. He played many prominent roles in plays such as, “Anything Goes”, “Phantom of the Opera”, “Hair”, “Miss Saigon” and “Sunset Boulevard”. He reprised the role of Joe Gillis in “Sunset Boulevard” on Broadway where he also played Barry opposite Carol Burnett in the Stephen Sondheim Revue “Putting It Together”. Barrowman has been featured as a judge and panelist on many television reality programs in the UK including = BBC One’s “How Do You Solve a Problem Like Maria?” and “Eurovision: Your Decision” on BBC 1. He has also appeared in scripted television shows “Central Park West”, “Desperate Housewives” and the CW’s superhero show, “Arrow”. Barrowman says he knew he was gay at the age of 13 but had known it deep down since he was nine. He came out to his parents as gay in 1992. Barrowman came home from London where he was playing Raoul in “The Phantom of the Opera” and told his parents that he was gay and was afraid that he might have HIV. 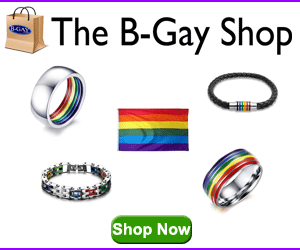 His parents were not surprised that their son was gay and neither were his two siblings. He was tested for HIV the next day and received a negative result. Barrowman didn’t come out publicly until 1995. At the time he was starring in “Central Park West” and dating, his now husband, Scott Gill and felt the time was right to be open about his personal life. He and Gill married in California in July 2013.